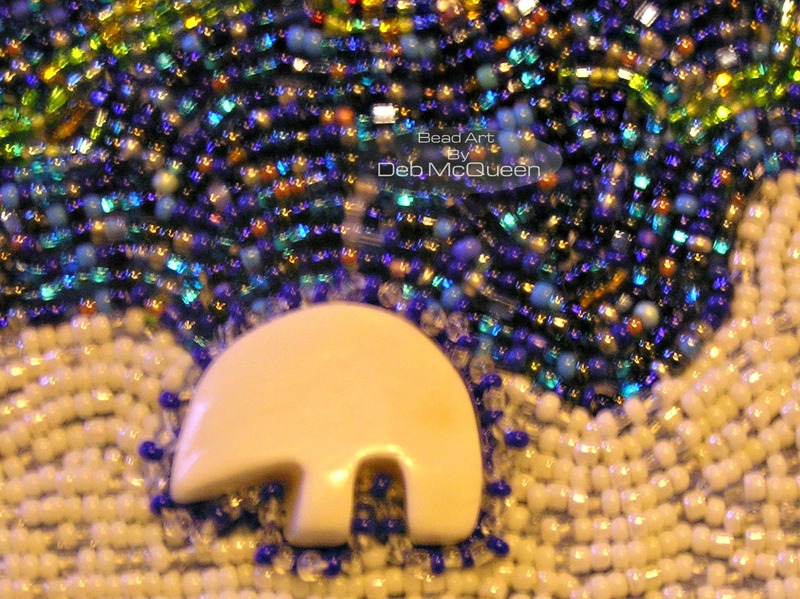 This is the second piece using the polar bear/northern lights theme. It is 5 inches in diameter. I had fun making it scenic, a new thing for me. Oh, that’s a fabulous piece, Deb, with beautiful colors.